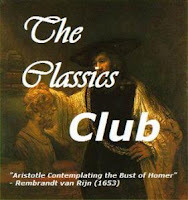 A Literary Odyssey: Book 24: First Impressions. 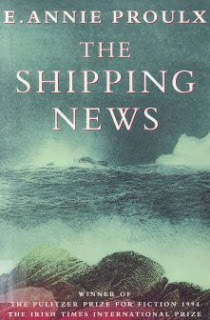 I am currently about 50 pages into The Shipping News and I am not really sure what I am thinking. 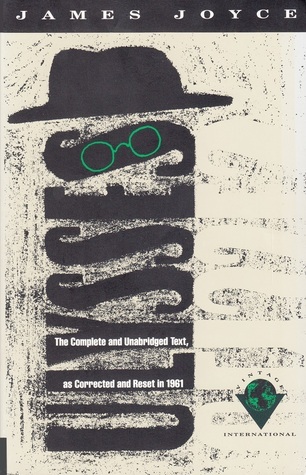 I was expecting some great things, considering this is a rather new novel (1993) and is already being considered a "classic" on some lists, so why do I feel like I have nothing to say? Sure, the book is interesting, but I am still waiting to be bowled over with an amazing story. So far, I have gotten this: Quoyle is a large man who not really bright. He falls in love with a loose woman and has two kids with her. She hates her kids and often abandons them. He works for a newspaper, even though he has no knowledge of writing. That's about it. And I am feeling like I am missing something. Perhaps I am not far enough into the book to be grabbed yet by the story. I am enjoying the writing. Obviously, I know that a main part of the novel is the fact that Quoyle works for a newspaper. Some of the writing seems written in that short, choppy style that I associate with news articles. So that, in and of itself, is interesting. I also like the characters...except Quoyle. To me, it seems as if Quoyle is just going through the motions of life and I am finding it hard to like him. I do like his crazy aunt and his daughters, and some of the other minor characters, but I hope he grows on me, because right now I think he's an idiot. The structure of the novel is also different. Each chapter is titled with a type of nautical knot and a short excerpt from a book of knots always follows. The chapter is always related to the knot and the description, which really adds a lot of depth. Anyway, I am going to keep plowing through in hopes that Quoyle begins to amaze me. Good luck with that. I too saw to film adaptation, and I barely remember it at all, I definitely don't remember enjoying it. I can vaguely picture the bloke who played the main character, he was blond wasn't it he? Anyway, I haven't read this, but already it sounds like maybe I should give it a miss. I concur with Melissa's comments. If the book isn't speaking to you then I wouldn't push myself to read it! I did enjoy this one but maybe it was just the right book at the right time. Sunday Salon: February 28, 2010. Book 23: Finished and LOST discussion. Book List Meme: February 23, 2010. Musing Monday: February 22, 2010. Sunday Salon: February 21, 2010. Book 22: Ruin and Relationships. Book 22: The "Clever Wench." Thursday Treat #9: Into the Wild by Jon Krakauer. Book 21: Villains and Unpretty Girls. Musing Monday: February 15, 2010. Sunday Salon: February 14, 2010. Book 20: Why I Love Tom Sawyer. Book 20: The Adventures of Tom Sawyer. Book 19: Shakespeare and Harry. Book 19: The Winter's Tale. Musing Monday: February 8, 2010. Sunday Salon: February 7, 2010. Book 18: Personal Reading Experiences. Book List Meme: February 2, 2010. Book 18: Accents, Dialect and Dialogue.